When my client said to me "I'm going to need a nursery designed for our new home" it was music to my ears! 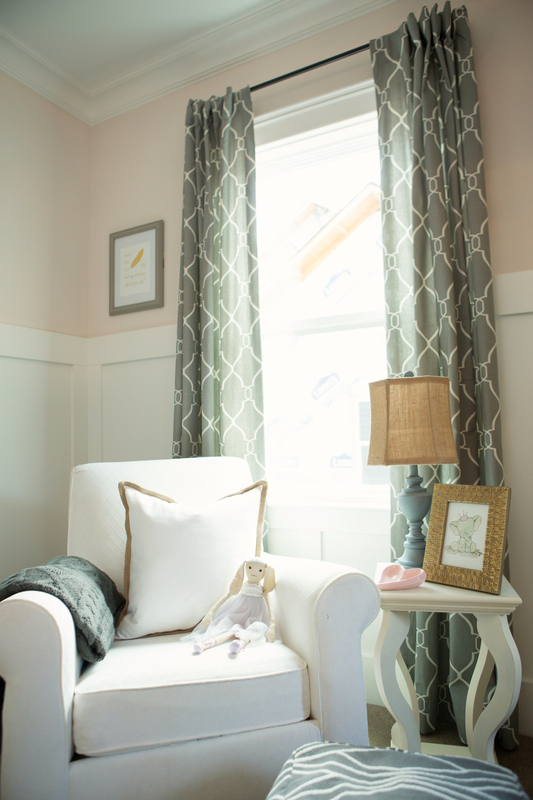 Nurseries are one of my favorite rooms to decorate because I love babies! My own "babies" are now 14, 13 & 11, so the thought of surrounding myself with sweet little decor again made me so happy. And the best part was that this nursery was for a little girl! You have to understand, the aforementioned "babies" are now smelly , crazy, un-frilly boys...so anytime I can get my hands on something pink and pretty it just makes my day! My client had already selected a light grey crib which served as our starting point. She wanted something feminine and pretty for her soon-to-arrive baby girl, so I chose a soft, peachy pink to go above the white Board & Batton. This helped to add interest to the walls. I also added a beautiful crystal chandelier, a big comfy chair perfect for late night feedings, lovely bedding and baskets full of cuddly blankets and bunnies. I absolutely love the way this nursery turned out...and the sweet little princess who occupies this space just makes the room sweeter! 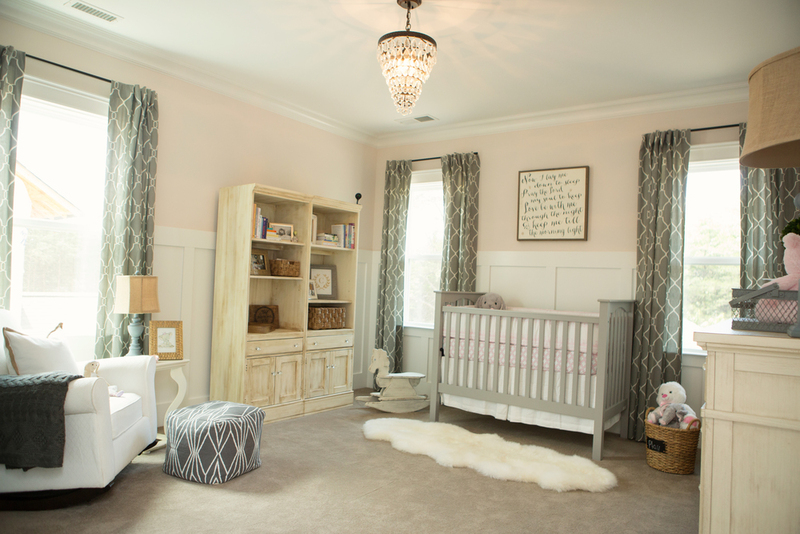 This is the sweetest nursery for the sweetest lil princess!